We read today of rise of self-publishing and the claims that ‘Self-publishing boom lifts sales by 79% in a year’ made by industry analysts Neilson and published in the Guardian. Steve Bohme, Research Director at Nielsen, claims that of the 80 million ebooks sold in the UK at a value of some £300 million, 18 million were self-published at an average price of £1. So whilst the volume of self-publishing was a little under 25% of the UK ebook market the value of the sales was only half that at some 12%. There are many questions about these and other self-publishing statistics. How much of the research is qualitative and how much is quantitative? How much is actual sales of all self-published books and how much is restricted to tracking industry identified book units (ISBN)? It is easy to be subjective, but the actual detail often remains inaccessible and therefore any statements and predictions often carry a word of caution. The time old practice of measuring the market by number of new books published a year, is becoming meaningless in this new virtual world, where multiple renditions often exists and the front list, or ‘new’, is increasingly hard to define. The industry failed to adopt the ISTC (standard work identifier) and as a result relating different renditions can be a challenge. Separating out the self-publishing titles is even harder as digital self-publishing is also not restricted to authors and is being used by agents and small publishers and we must not forget that it also includes print on demand channels such as Create Space and even audio. We are however where we are and it is hard not to appreciate the massive explosion in digital self-publishing. This has been enabled via no cost and self service programmes such as Kindle Digital Publishing (KDP). The number of titles now taking this or similar routes to market is hard to accurately measure and therefore too are the sales. We understand some of the self-publishing drivers, but we often lack the actual sales that are actually being achieved. Whilst some authors claim huge sales, some works sit on the shelf untouched. Prices fluctuate from free to a few pounds, but owners are often continually manipulating these prices in order maximise visibility and sales. As a result prices, although low, are all over the place, which in turn put pressure on the pricing of more traditional works. Traditional publishing has developed, honed and established processes, relationships and practices from the author to the reader over many years. Although these characteristics may vary from sector to sector, in many sectors the prevailing model still remains largely one based on spread betting that is controlled by the publishers, where the winners compensate for the losers. Some bestsellers may be manufactured and according to their marketing spend be hits before they have hit the streets. However, publishers are increasingly becoming risk adverse and in doing so are potentially now shrinking the number of wild punts they take. For many readers the publication date has not been the buying driver and ‘latest’ often only means the newest to be discovered, not latest to be published. However, the publishers remain front list focused with what some would see as a mission to discover the next ‘50 Shades’, ‘Harry Potter’ and Christmas celebrity blockbuster etc. In the physical world the promotion and development of the backlist does not always generate the returns offered by a new bestseller. However in the digital world a strong and visible backlist can provide stable and sustainable income with little cost. This potential quick win is not lost on authors who have often got reverted backlists that are potentially waiting to be rediscovered. The size of the content of a title is still being driven by the economics of the physical rendition. The distribution and metadata is still conforming to the physical supply chain needs. The rewards, rights and royalties remaining locked in a time warp as if digital never happened. We still think in terms of library and bookshop shelves and not virtual ones and restrict how we describe works to filling in predefined boxes. Digital books are still often restricted to sitting on limited shelves even though their appeal may be applicable to many genre. We are managing ebooks as if they were pbooks which again is opening up opportunities for self-publishers to self-publish and appear more relevant and focused. The market share of digital to physical continues to be an industry obsession and in part is driven by the majority of the physical book content remaining identical to the digital with the physical content merely being poured into the digital container. We have created a cannibalising engine which although like other media will not entirely replace the physical, could seriously undermine the supply chain economics on which it works today. However, this is not the case with much of the self-publishing market which now sidesteps the often uneconomic print rendition. So despite Amazon’s Create Space print on demand service digital self-publishing is growing disproportionately to traditional digital publishing. 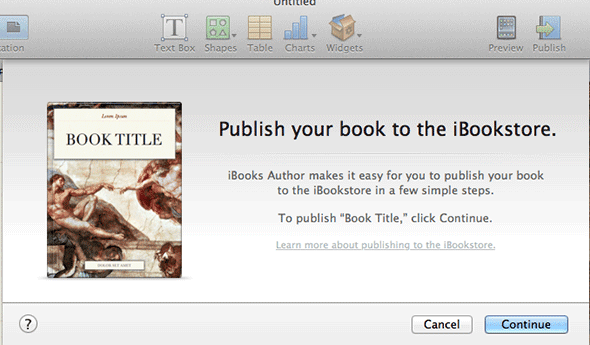 Self-publishing is being championed by those who control virtually all current ebook sales. The likes of Amazon, Kobo, Nook not only assign their own identifiers and do not make the ISBN mandatory for ebook self-publishers they actively promote their services for free with royalty rates that make even the best publishing digital royalties look miserable. Yes, publishers can add value by promotion, marketing, and generally help raise the visibility of their works and that may be appropriate for front list titles and those released in print but doesn’t always apply to back list, mid list which now find themselves fighting for attention alongside increasingly more professional looking self-publishing titles. It is very questionable why any author should allow publishers to simply digitise their back list without term time break clauses and a revision of royalty terms. The ebook services also add value to authors in showing current sales activity, royalty earnings and even pay on a monthly basis. If we finally accept self-publishing is a growing force and segment within the market, how do we relate to it, measure it and respect what it offers authors and readers alike. Merely brushing it under the carpet or closing one’s eyes to it is not the answer as this will only deliver aftershocks and surprises. Locking authors into perpetual contracts for their backlist as well as front list will surely only come home and bite hard. Paying authors poor digital royalties that look to some greedy and to others just stubborn will only increase the flow to self-publish digitally. 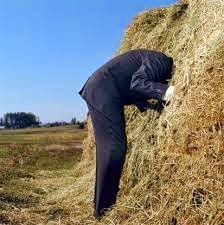 It is often one thing to identify the threat and another to focus on the opportunity. Publishers are not structured to absorb self-publishing and by their nature are selectors and curators. We now live in an environment where anybody can publish a video on YouTube, perform their music in the social network arena, review whatever, write blogs, stories etc. This is to be embraced and supported and even though many still see it as a threat self-publishing actually compliments and can enrich traditional media publishing. 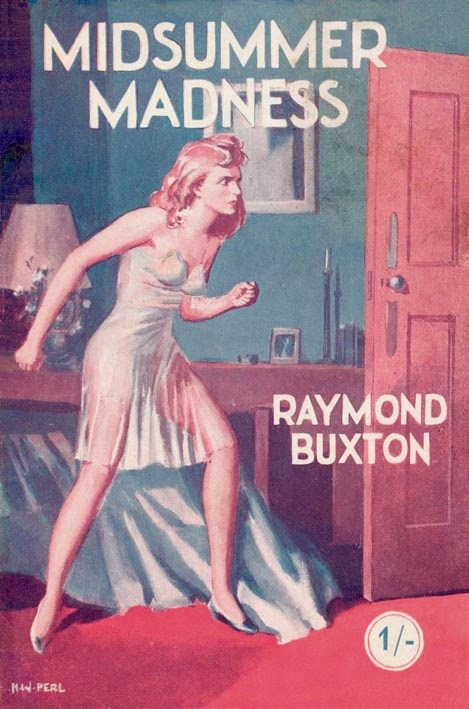 Does anybody know where to find Raymond Buxton? It must be Summer and the heat must be sending some barmy with thoughts of erecting new toll booths to collect money every time a book gets sold. Yesterday the news that secondhand reseller Bookbarn had entered into some sort of convoluted pact with the Authors’ Licencing and Collecting Society (ALCS) to effectively pay a royalty to authors on the sale of the used books. Someone at ALCS was obviously dreaming of a huge new revenue stream and a potential new role in life, or some misguided people believed that there was any quick win and a pot of gold without thinking through the implications. Bookbarn‘s motive for doing it is not known. The ALCS has always been actively looking at ways to increase their members’ earnings but the practicalities and economics of the scheme should be seriously questioned and its potential impact evaluated within the industry and across the value chain. First of all can we define a secondhand or used book and when is a secondhand, thirdhand or even more? What is the difference between rare and antiquarian and used paperbacks? Are public domain works to be included or excluded and who will identify which qualify? What happens with foreign works and editions? Is the toll based on individual resale value or retailer’s revenues or some sort of honesty box? What happens with the sale of orphan works and how are these to be identified? Do charity shops and car boot sales have an exclusion or are they to be included? When a return is resold is that still mint or now deemed secondhand? Defining degrees of used is itself going to be a challenge. ALCS may be good at collecting photocopying revenue but this is a different and far more complex world. The book is still under the copyright ownership of the author but it has also been produced by the publisher who currently only earns on the initial sale. Unlike artworks, there are others who have been involved with the production and development of the book being resold. Should any collection agency succeed in collecting used sales revenues could the publishers also lay claim to some of the bounty? Should the agent who facilitated the original deal also be rewarded? Is the money collected to be shared just between ALCS members? There are many more questions which we presume all have thought through and have answers for. It is not clear whether the sales to be recorded like artworks as unit sales or managed as collective sales and revenues spread by percentage sold, like PLR lending’s across members? What is the administrative overhead of the operation and is the revenues exclusive to ALCS members and what happens with international authors who don’t belong to ALCS? Anyone familiar with the music collection services such as Performing Rights Society (PRS) would appreciate that their approach to collecting money can sometimes be viewed by some as intimidating and somewhat arbitrary and that the administration costs of such collections can outweigh the benefits given to individuals. The Artist’s Resale Right, or Droit de suite became an EU directive in 2001, and was enacted in the UK in 2006 but todate has delivered questionable benefits to artists and it is claimed that instead of tens of thousands of artists benefiting, only 1,104 artists benefited, of which only 568 were British”. So instead of creating a questionable and some would say unworkable sledgehammer to crack a nut, why don’t we address the basics and first establish a rights registry and identify exactly who owns what. The papers are full of anti-Amazon rhetoric which some may suggest is being whipped up into a feeding frenzy within the publishing marketplace. Amazon is being portrayed as the biggest bully ever to have stepped into the publishing arena. But is this the case or is it another attempt by the publishing majors to wrestle back some of the control they happily gave the Seattle company, or a genuine grievance? How do consumers feel about the latest public spat, do they really care and how do they actually perceive Amazon? Do authors side with the retailer who has more than any single entity extended their market, or do they side with the publishing majors and those A list authors who may be suffering in this conflict? The issues facing the ebook publishing marketplace are wide ranging and often interrelated, but often these only get raised and discuss as individual issues. Some would suggest that the book supply chain is adversarial by nature and can often be seen not as a supply chain, but as a ‘blame chain’. Yesterday it was the book chains and their greed to secure additional discounts, today it is Amazon’s same battle at a time when some major publishing houses are declaring profit rises due to digital sales and growth. It’s somewhat ironic to wind to the clock back just a few years to when publishers were claiming the true costs of digital were far greater than many envisaged and they were losing out and couldn't pay authors more. The digital market has shifted significantly and mainly thanks to Amazon and its continual exploration of the marketplace. They have given us and invested in Marketplace, Creative Space, KDP, Audible, ABE, Goodreads, Singles, Kidsspace and much more. They have raised the bar re author royalties and whilst many publishers have started to raise the digital royalties, they all too often pale into insignificance compared to those offered by Amazon and followed by their competitors. 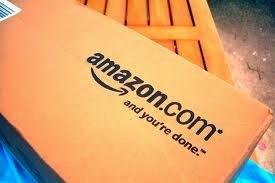 Publishers claim that they can make the difference and ‘make a book happen’, but although this may be true in the physical market the digital one is effectively owned by Amazon. Interestingly Amazon have also opened up the digital honesty box through KDP and in doing so have given authors transparency on daily sales by title and region and paid them monthly, again with total transparency. If we step back and look at some of the digital issues some would suggest that we often have little appetite to change and more easily accept the status quo, often letting others take the risk and waiting to see if they fail or succeed. We have lurched from knee jerk to knee jerk with the likes of the ill-conceived Google book Settlement and Agency moves. Some would suggest that these were primarily aimed at bringing in Google and Apple to compete with Amazon but on their terms. Today we have a marketplace that is still fixated with front list in a digital world of virtual shelves that provide equal space to all content, irrespective of its age. We have no, or few price points that are recognised by consumers and this just promotes discounting across titles that should not be discounted. We have continue to pour the physical into the digital container and believe the job is done and in doing so undermine the physical product and marketplace. We have generally failed to create new digital content that encourages reading and compliments the physical book as Charles Dickens and others did in the early age of mass reading and have choosen instead to stick with the 256 page model fits all? There are only two entities that truly matter in the value chain; the author who puts in the creative content and the consumer who puts in the cash. All the others have to add value and not just cost but also have to often co-exist to maximise the efficiency across the chain.